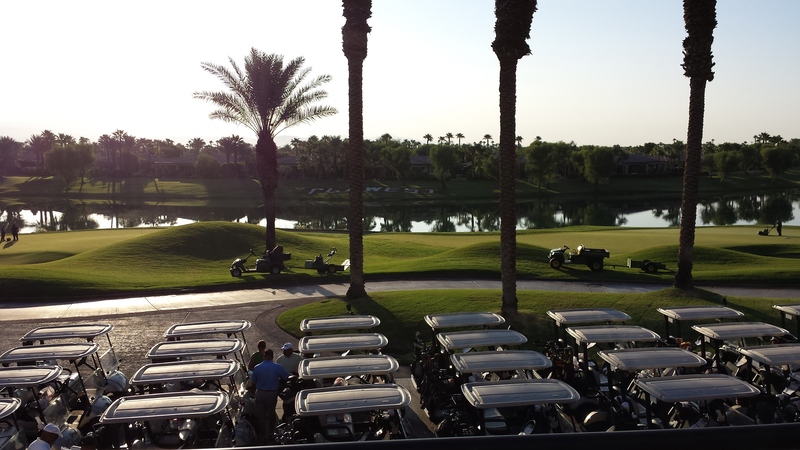 The Winner of the 3-day Palm Springs Tournament Is…. YES!! I’m still slightly in shock that I was able to win the tournament in Palm Springs this past week! It was my 3rd time attending the tourney and ever since my 1st a few years back, it has been a big goal of mine to get my game good enough to try and win, so this is a big accomplishment for me mentally. It proves to me that hard work and dedication really do pay off. I did not play as well as I know I’m capable of, left a lot of shots out there due to short game, yet it was still just enough to get the job done as I beat the field of 85 by just 1 shot by the end of Sunday! 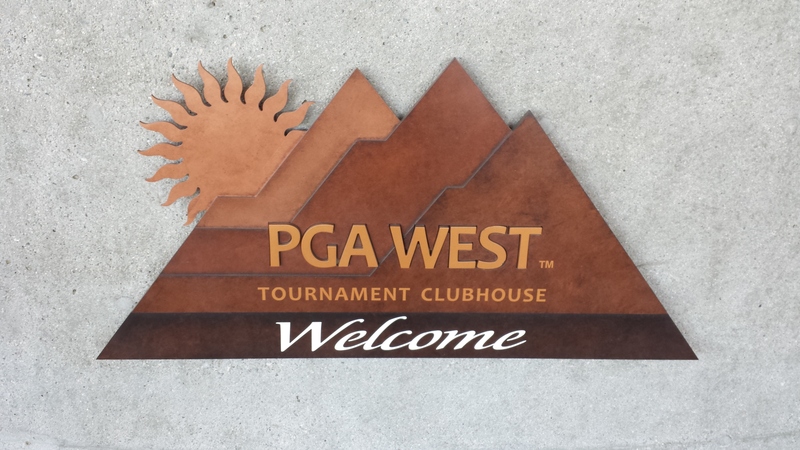 It was a 3 day tournament in Palm Springs …Day 1 we played at the PGA West Jack Nicklaus Course , it was 110 degrees and I shot a 79 (+7), putting me tied in 2nd place after day one (low score of day was a 75). This round was actually really disappointing for me, we started on hole #5 on a shotgun start and I was at Even par through my first 11 holes and then went +7 over my last 7 holes to finish. I think the heat got to me near the end. I was hitting the ball great all day, but near the end I started missing greens and could not get up and down to save my life. Went 0-5 on up and down over my last 7 holes and had a 3 putt. So even with the very disappointing finish to the first day, I was still only 4 shots back from the lead and feeling good. 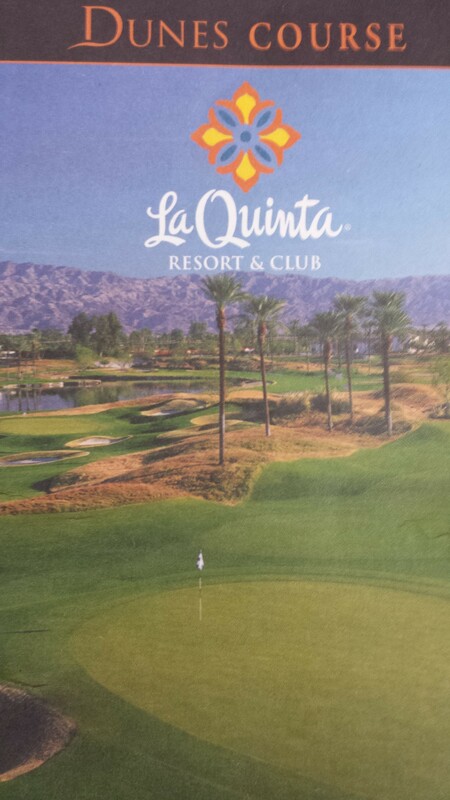 Day 2 we played at the La Quinta Dunes Course and I tied for the low round of the day with a solid (+3) 75! We started on hole #14 on the shotgun start and something amazing happened…..the first two holes, back to back, I chipped in for birdie! Both were great chips that one hopped and fell into the cup, it was crazy and missed a 3rd on the next hole by an inch. So that start was a nice treat, but unfortunately I was not able to make another birdie the entire day, but played solid golf to only finish at +3. I doubled #17 which is the #1 handicapped hole, perfectly in the fairway, but I blocked my 7 iron and it found the water left of the green. I did not hit the ball well off the tee this day, but my short game was a lot better and as a result I finished the day tied for the lead going into Sunday! 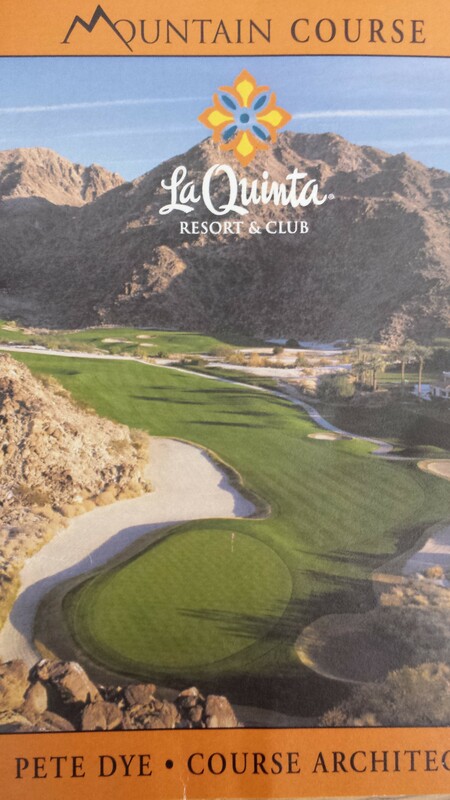 Day 3 (Final) we played at the La Quinta Mountain Course , my first time ever playing at this course. It is a beautiful course, literally carved into the la quinta mountain side and it even features an island green, only it’s surrounded by rocks and not water like at Sawgrass. We started on #14, the 2nd handicapped hole and I hit it to about 12 ft for birdie…..then I promptly 3 putted for a bogey, ridiculous! I was very upset at myself, but I think in a way it almost freed me up to just go out and play and not worry about score or winning and just let the chips fall where they may. I hit a lot of close shots for birdie, but could not convert a lot of them, missed 10 ft birdies on #15 and #17 and even a 3 ft birdie on #1, horrible! I was +4 after my first 7 holes, but still striking the ball well. I was able to make some clutch putts coming down the stretch, a few birdies and finished my last 11 holes at just +1. I had no clue that my score of 77 (+5) was going to be good enough to win the tournament. We all gathered back in the clubhouse to hand in our scorecards and that was when I was told that I had won the tournament by 1 shot! I was in shock as the other person I was tied with on the final day had shot a 78. Needless to say you can tell that this was not the most difficult tournament, as my final 3 day total of 231 (+15) won, but I’m still extremely proud to top the field of 85 players and happy to accomplishing a big goal of mine. We played on the same courses where they play the PGA Tour Qualifying Tournament, the rough was long and fluffy and it was 110 degrees + every single day. The Golf Channel Am Tour events will be more difficult and significant to win, but this win is a real confidence booster for me and a big stepping stone in my journey to become a scratch golfer. My goal for next year at this tournament is to shoot an under par round, I believe if I keep putting in the time and effort, I can make it happen! Played a couple rounds so far this week and I’m pleased to say that I’ve been playing well. With exactly 1 week left before I leave for my 3-day tournament in Palm Springs, I’m started to find my game. Just been trying to trust my full swing and I changed my putting grip and it has given me more stability and the putts are coming off the face flush and straight down my target line. I was pulling my shorter putts and I think it was because my left hand was shutting down the face… I have now regained my confidence from the 10ft and in range…and it’s starting to show, making a lot of them this week. Yesterday my buddy and I decided to head up north and play a different course than we normally do. We both had played up here once before, but it had been like 10 years for me, so I only remembered 1 of the holes. 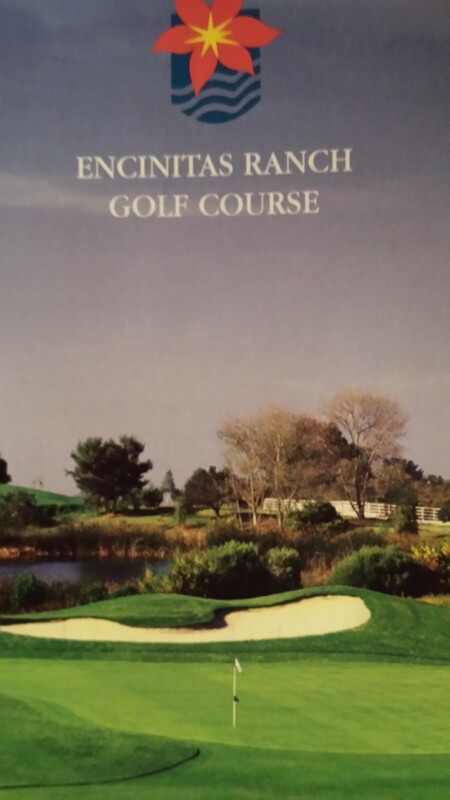 We played up at the Par 70 Encinitas Ranch Golf Course…a really nice track and we had a lot of fun. They were doing some construction on the bunkers of #8 so they told us to skip that hole and that they had created a new short par 3 hole on the back. So we skipped #8, but played a #11a and #11b….never seen this before, but it worked out well. I shot even par on the front 9 and then we headed to the makeshift #11a, a short par 3 of 112 yards. Hit a poor wedge that caught the bunker, lots of sand in the bunker and I couldn’t get it out on my first attempt. Ended up making a horrible double bogey 5 on this short par 3. For this round, I hit the ball relatively well except for about 3 or 4 shots that were really poor and cost me strokes, missed a few greens, with only wedges in my hand from the middle of the fairway….bogeyed both. I finished the back 9 at +5, missed a great shot at birdie on 18, only about 7 ft, but all in all, I’m satisfied with this round…a solid 75 (+5). Here is the scorecard…. Today, I decided to get up early (6:00am) and try to get on Carmel Mountain for a quick round. I’m so glad that I did….was able to out by myself at 7:20 and played all alone until 15 when I linked up with a 3-some for our last 3 holes. Played amazing today and tied my career low round of +1! 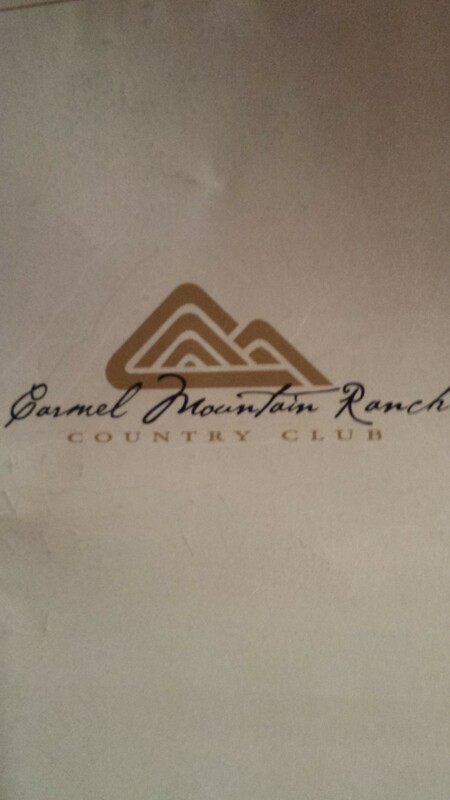 Carmel Mountain is a really difficult course, no doubt harder in my opinion than Vineyard, where I shot my other low round of +1 about a month ago. Today was my best ball striking round ever and if it wasn’t for three 3-putts, I would have shot my under par round!! I hit 9 fairways today and 2 were a foot away from the short stuff, my best driving performance. I also and more importantly hit 15 greens in regulation and the three that I did miss were no more than 10 yards from the green. I did however have three 3 putts and they cost me my lowest round ever, but overall I feel I putted well compared to how I have been and I’m certainly improving tremendously in that department. My final two 3 putts were a result of rushing myself, the first because a group was waiting behind me and I rushed my 2nd putt. The final was bad, it was on the Par 5 15th….I crushed my tee shot down the middle and the group in front was just hitting up to the green, they yelled at me to just join them, so I went for the green in 2. Hit a perfect hybrid to just 15 ft for eagle! When I went to putt for my eagle, I kind of started to think negative thoughts about how I didn’t want to mess it up with these new people watching me and after they just watched me hit a great shot….my putt burned the edge, but I gave it way too much juice and it ran about 6 ft by, where I promptly missed the comebacker to 3 putt the Par 5 for par…ouch. So yea I let some opportunities slip by today, but I’m not going to dwell on those, I know now that I truly do have the ability to shoot under par, it’s just a matter of time. If I keep giving myself these chances, it will happen. I’m really excited that I was able to shoot my career low today and only a week before the tournament I’ve been thinking about for a year now. I’m going to head to Palm Springs with a positive mindset, relaxed and looking to have a great time and play some great golf. My goal is to break 80 each day, but I’m really hoping to score low and make a run at winning it. Will hopefully be playing this weekend and Monday/Wednesday before leaving on Thursday….let’s keep this momentum rolling! 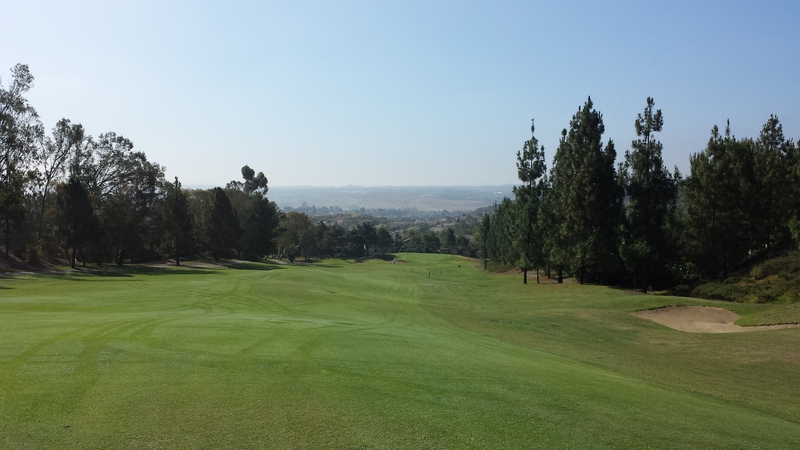 Played at Oaks North on Monday, the executive course that plays at a Par 6…shot a 63 (+3) with 2 penalties off the tee. Like I stated in my previous post, I have been spending this week focusing on my swing plane and trying to get it into the correct position to help produce more consistent shots. I really feel like I am starting to figure it out, I hit 13 of 18 greens. On Wednesday, played over at the Vineyard and shot a disappointing 79 (+9). I actually continued to strike the ball very well and accurate, I only hit 7 greens, but had about 5 that were just on the fringes. I shot a 79 because of my short game, missed 4 putts from 3 feet and did not make a single birdie. Putting continues to be my achilles heel, just don’t feel confident. My lag putting is improving, but the shorter putts I’m just not hitting them with the confidence needed to make them right now. Went to the range last night to keep working on my swing plane and I hit the ball great, I’m starting to get to that point that I have been working towards where I can just swing confidently and not have to think about my mechanics. I finally found the correct feeling you need to have to get the club coming down on the correct plane and not too steep and I’m starting to groove the ball. I hope to play again on Saturday or Sunday, trying to get that set up right now, but if not, then I’ll just keep practicing my short game for my upcoming rounds on Monday and Wednesday. 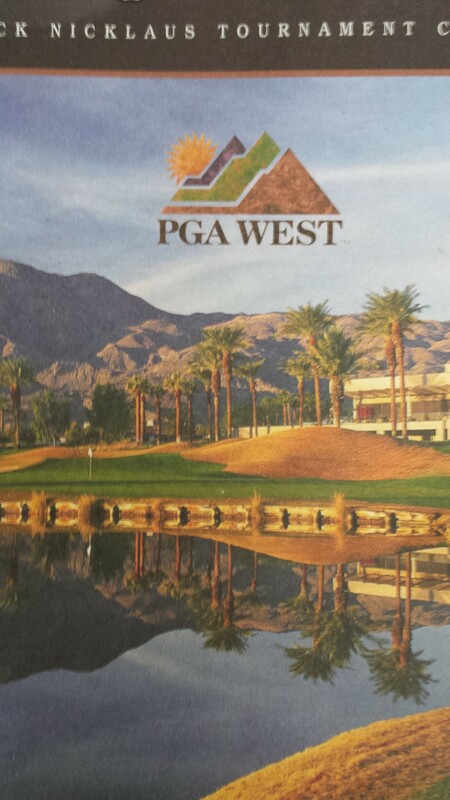 2 weeks until the Palm Springs Tournament, I’m so happy that I’m starting to get my game in order to compete there, if I can find my putting, watch out.